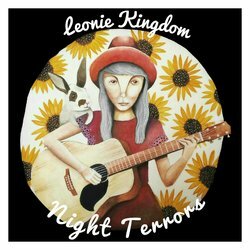 Leonie Kingdom is an emerging Indie-Pop Artist from South East Queensland, Australia. She specialises in Acoustic Guitar, Singing, Songwriting and Live Performance. Leonie’s Style could be described as Emotional, Dark, and even Haunting. She hopes to share her passion with as many people as possible. Leonie has achieved semi-finalist positions in competitions such as, 2012 Telstra Road to Discovery and 2016 Gympie Muster Talent Search. In 2017 she took winning title in Hervey Bay’s Unplugged competition. This awarded her the production of Night Terrors, her debut EP recorded at Pacific International Music. ‘Night Terrors’ is a song about battling those lonely, dark nights full of bad dreams, mental illness and night terrors. It is about expressing the feeling of being trapped in a dream.